A couple days ago, I have received file not via email or skype or not even ftp or any other know file transmission media, but as a link to dopdown page. So, I decided to make deeper investigation on benefits of such services. The idea to store files (images, video, music, etc) on web, so authorized user can access them from any place on the world, is not new. But, due to low capacity and inconvenient upload / download, such services did not achieve rich popularity. Situation changed radically after storage capacity reached gigabytes and working with a files become close to how you usually do it with files and folders on computer. Basically it is very similar to FTP where you can use some amount for free and do it in web interface (so you don’t need special software for such purposes). Let’s look at practical example. Imagine you are a working student. At home you are writing homeworks, in mobile phone you have made a few pictures and at work you received nice presentation you would like to show others outside office. To share with files or to bring them with you you need either USB memory stick or use email in worse case. Using cloud storage you can do it slightly different – all files store in the cloud and access them as you need. To share homework everything you have to do is to share it and send a unique link via mail or other communication way. DropBox was developed exactly for the needs of students in MIT at 2007, with the goat to solve problem with file sharing. Mentioned service besides file storage, store file versions and deleted files. DropBox is not the only services providing remote file storage service, but for a moment it is known as a best one. 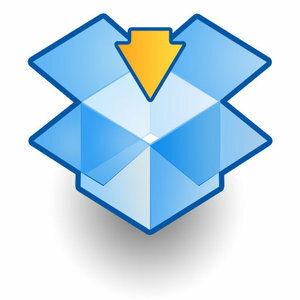 DropBox offers to install special software (available for windows, mac, linux, iphone and android). This software will create special folders which will be in sync with server. You can work with files and folders like before, but in invisible way file located in this folder will be synchronized with cloud storage and will be available for other access points, like mobile device. So you can save images to this folders and download in mobile device and vice versa. Storage capacity and how to get 8Gb? You can use up to 2Gb for free using DropBox. If you wish more, you should follow one of the following way: 1. To by extra strorage or 2. Suggest friends by sending special referral link, so getting extra 250Mb for each involved person. Limit is 8Gb. As experiments showed, it is enough to register and authorize using downloadable desktop software to achieve 250Mb. You can authorize using one shared IP, but you cannot do from the same computer. Changing name of computer will not help, as this operation will not help to get extra 250Mb. So all you need to fulfill you maximal storage is to get 26 friends who to send requests and get them as DropBox users. If this seems to be impossible, you may choose other cloud service. Everything run smoothly (without scary and incomprehensible questions) on windows, mac, android and linux. Note, there is no native Debian package, only for Ubuntu. Future steps are in GUI. The size of the single file. For example, docs.google.com allows you to store single file less than 250Mb (in case this issue is important). FWIW, I have prepared Debian packages that are going to be included in Debian. You can get them here. There are packages for Debian 6.0 (Squeeze) and for Wheezy/Unstable. Nice job, Raphael! Thank you!